Hello and happy wine Wednesday, wine lovers! I trust you are enjoying this glorious summer we are having! Fantastic. 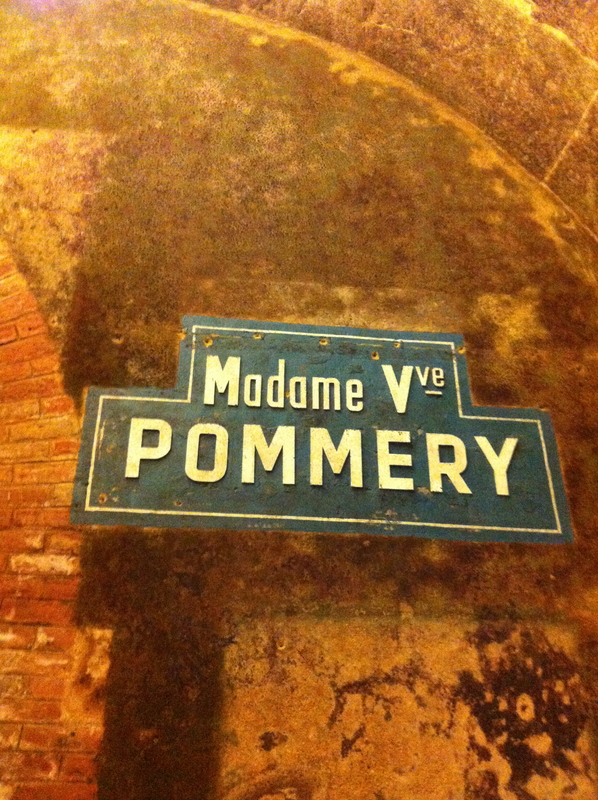 My travels in the Champagne region continued in Reims at the Pommery house. The property and house looked incredible and impressive. There was a modern art sculpture in the front driveway that was bright and eye-catching. So far, so good…or so I thought. I was early so I took a look around and what I saw didn’t make sense to me. There was a beautifully carved wooden barrel that was on display and this was stunning and fit in the ‘I am in a champagne house’ vibe. Then, I saw an elephant. 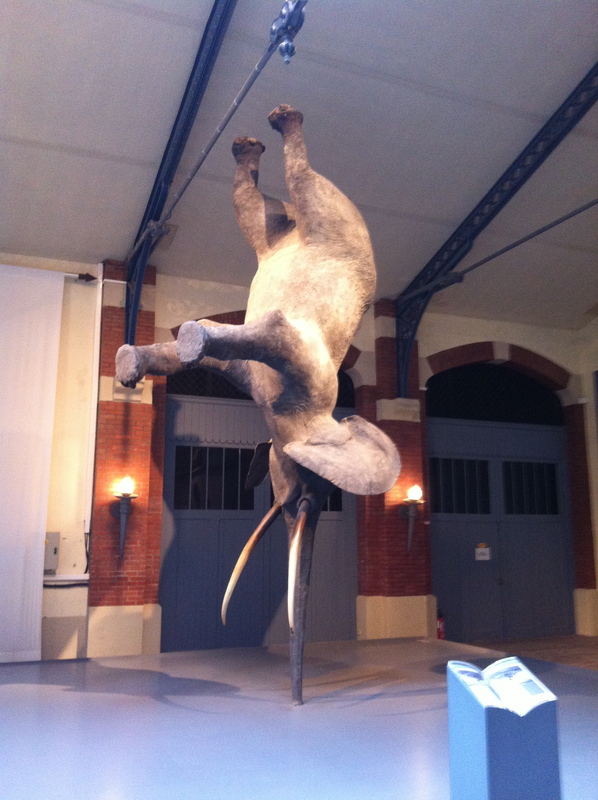 Not just any elephant, which was so beyond weird anyway, but a paper maché elephant hanging upside-down and being supported by its’ truck. I didn’t understand the presence of this piece. See below: You can tell that I am already put off, yes? Yes. What in the world does this have to do with Champagne?? The tour started late. Our hostess was nice enough but lacked the warmth of Veuve Clicquot’s Vincent. 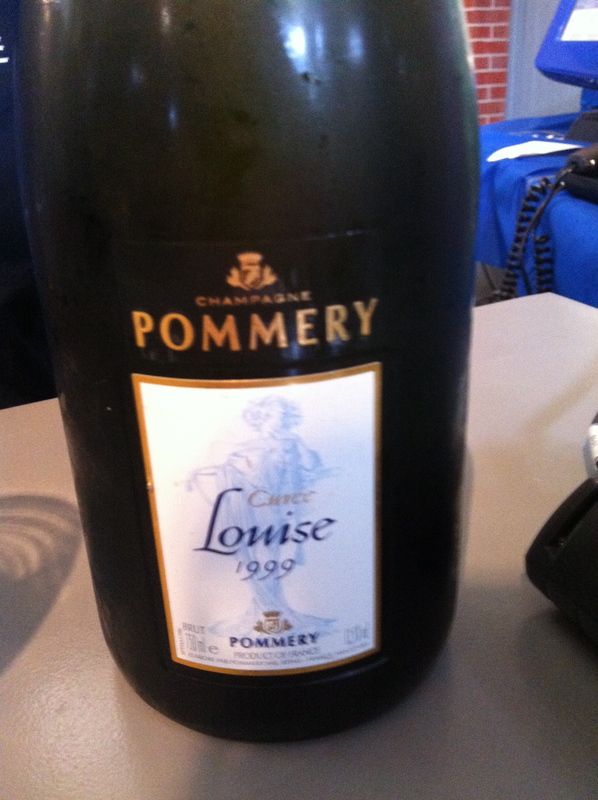 Another champagne house run by a woman, Louise Pommery inherited the house and wanted to “Pommerize” the world. They were the first to make a ‘brut nature’ style which is 0 grams of added sugar and is quite popular now in the U.K. The chalk pits on the Pommery grounds were hand dug 2,000 years ago. Our tour was conducted 30 meters underground where it is a constant temperature of 10°C all the time and about 100% humidity. The tour ended, rather quickly, and we were brought back up the 116 steps that we had gone down previously…We were led over to a bar of sorts where a few ‘servers’ got out the glassware and started getting people what they ordered. They did not have my “Louise” ready. 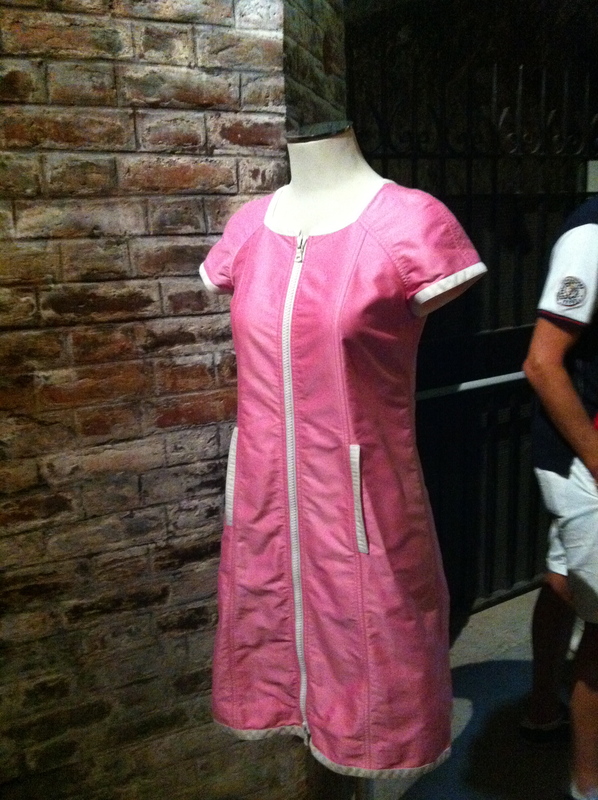 They tried to give me a non-vintage until I requested my “Louise” vintage that I had paid for. They asked to see my ticket ( train station) and I was given what I wanted. It was a vintage 1999 that had been aged for 13 years. It was made up of 60% Chardonnay and 40% Pinot Noir from 3 parcels of grand cru land. It had a long finish with a very toasty-bread quality on the palate and nice and dry. It was good but I much preferred the Grande Dame at Veuve Clicquot. Two new friends from Dubai ( Gabi and Sabine) gave me one of their glasses of brut royal non-vintage which is the classic best seller of the house. It was nice and light but not at all interesting. I left wondering why all the modern art…The tour guide pointed out about 10 art pieces along the tour and it was almost, almost, like there was more to say about the art than the champagne which was quite confusing to me. I know that the current owners of the house enjoy modern art and that is fantastic however this was a tour of a champagne house and two didn’t go hand in hand, in my humble opinion. Seriously? Why is this even here?